My favorite Finn, who introduced me to Finnish Oven Pancakes, makes fantastic Finnish Cinnamon Rolls. 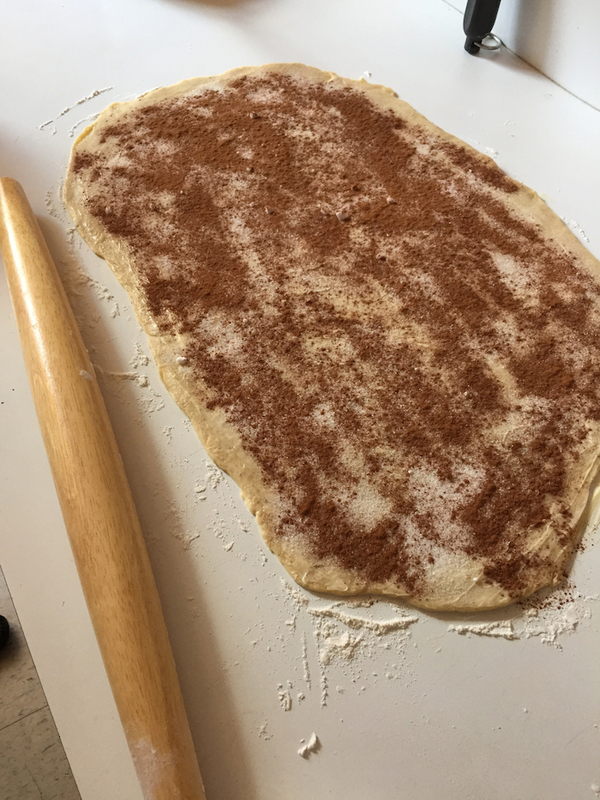 These rolls are delicate and lightly sweetened, the dough is spiced with cardamom and the middle is spread with cinnamon. While these aren’t nearly as sweet or decadent as your typical American sticky buns, they’re light and doughy and utterly addictive. Sister had them for the first time at Easter and was totally hooked. So when I visited her last weekend we decided to try making them ourselves. I’d found a recipe on Pinterest, so we just needed to find the pearl sugar that goes on top. After visiting three stores, we ended up finding the sugar on Amazon. But alas, the sugar didn’t show up in time, so we had to make it without. They were still absolutely fantastic, so if you’re not into fancy sugars you can skip it and just top with a sprinkle of regular granulated sugar. We also ended up dry toasting some cardamom pods and peeling out the seeds to grind because Sister didn’t have ground cardamom…it probably would have been faster to run out to the store, but holy moly the smell of freshly ground cardamom was almost worth the hassle of hand picking the seeds. 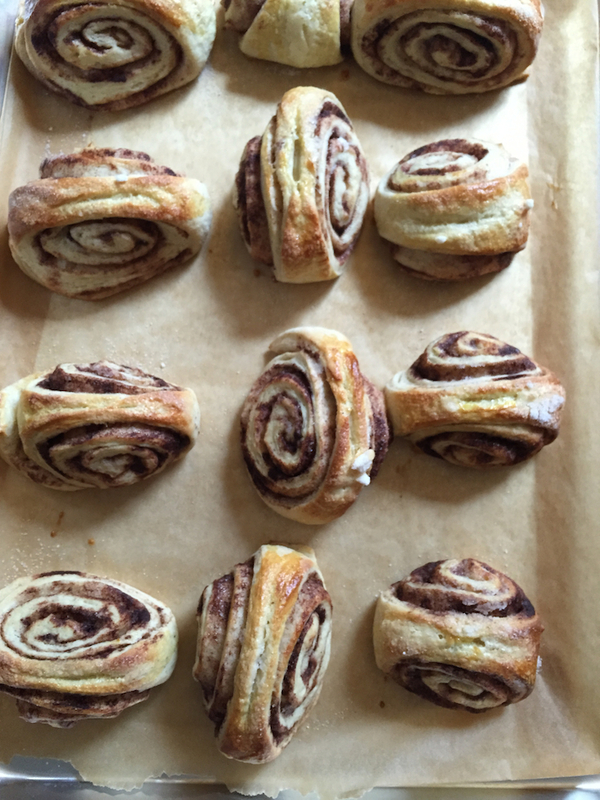 These do take some time, but it’s a fun baking project and the reward is totally worth it. In a large bowl, mix the milk and the yeast and let sit for about 5 minutes, or until foamy on top. Add the vanilla extract, sugar, salt, and cardamom, stirring well. Add the eggs and mix to combine. Gradually add about two thirds of the flour until you can no longer mix with a spoon. Add the butter and knead the dough to combine. Continue to add flour while you knead until the dough comes together and is soft but comes off the sides of the bowl, and off your hands cleanly. Shape the dough into a bowl and cover with a clean dish towel or loosely with plastic wrap and set in a warm, draft-free place to rise; about 1 hour or until doubled. Once the dough has doubled, punch down the dough and divide in half. Roll out half of the dough to about 24×16″ or about a 1/4″ thick. Spread half the butter over the dough then sprinkle with granulated sugar and cinnamon. Roll the dough tightly starting at the long side, and ending with the seam side down. Cut the dough at a slight diagonal, alternating angles with each cut so you have a slight pyramid shape. 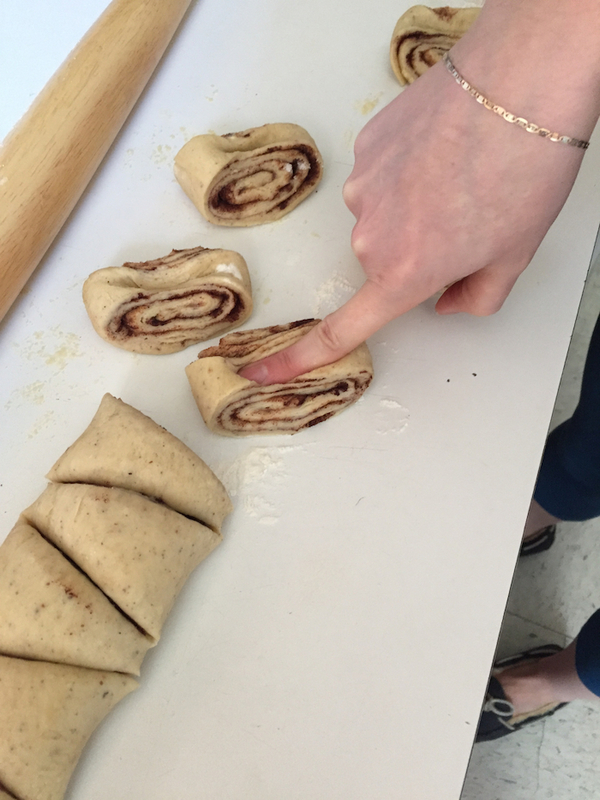 Place the long side down and press one finger into the short side to press the cinnamon roll into shape. Repeat with the first roll, then repeat with the second half of the dough. Place shaped rolls onto a parchment paper lined baking sheet and cover with a dish towel and let rise for 30 minutes. Preheat the oven to 425°F. When the dough has risen, brush with egg then sprinkle with sugar. Bake for about 10-15 minutes, or until golden. 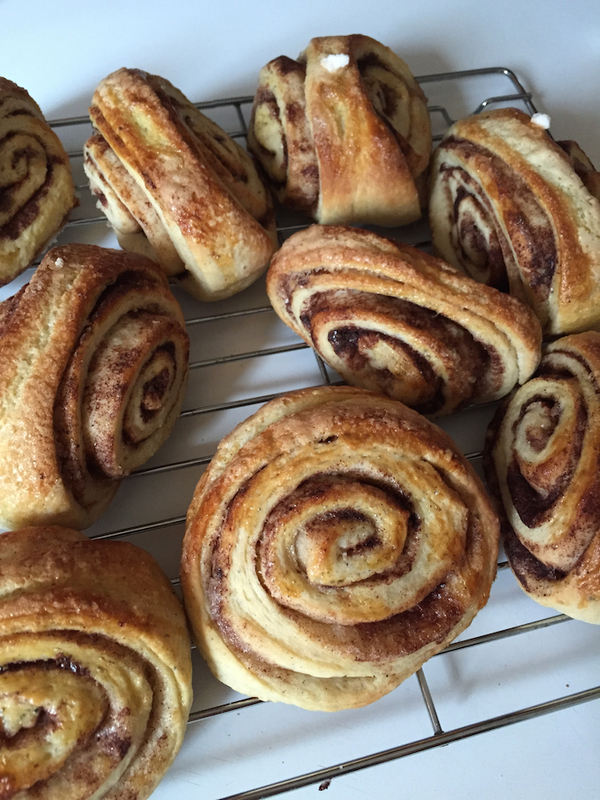 These look beyond delicious- certainly want to try this recipe sooner than later! Oh man, I want more! !